Don't forget to give a card with your gift! 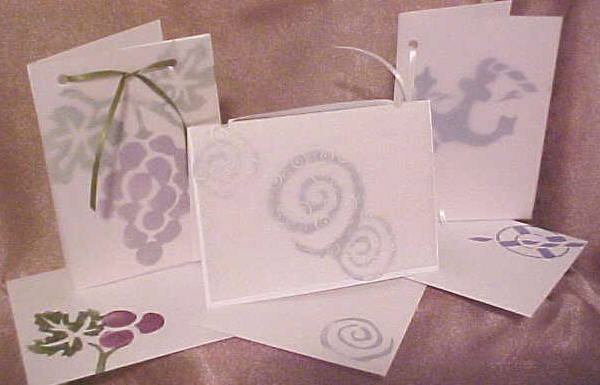 Each card is hand-stamped or stenciled on the outside with a piece of vellum attached with satin ribbon. The inside is blank. Each card comes with a coordinating envelope.